Maryland Department of Business and Economic Development department's programs and core missions include: growing Maryland's Biotechnology industry, extending the State's Global presence and demonstrating Maryland's commitment to attracting foreign business to the state, creating new jobs and economic opportunities for Marylanders, providing services to Maryland Business, Tourism, Film and the Arts. The SBDC network provides consulting services and training programs to current and prospective small business owners in Maryland. SBDC services include individual counseling (at no cost to the client) to assist in developing and refining business plans, solving specific problems, locating capital and brainstorming innovative strategies to support growth and profitability. SBDC also offers training programs for all stages of small business development. Most of the more than 20 SBDC locations throughout Maryland have a resource library with information on starting, operating and growing a small business. 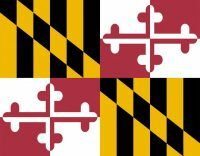 Six regional offices throughout the state provide resources and referral services to help Maryland businesses expand and grow in Maryland and compete globally. Contact the Small Business Development Center nearest you.